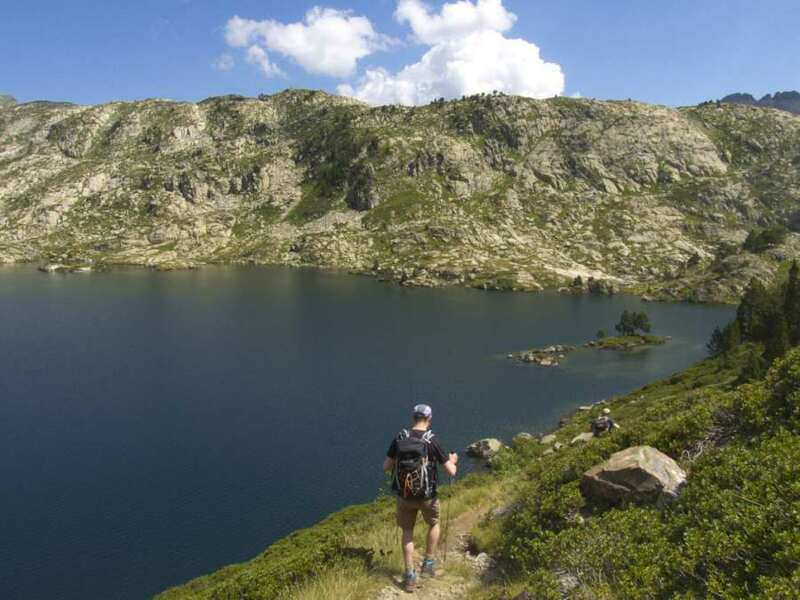 This article gives more detail about the story in the trip Alt Pirineu Natural Park and the freedom trail. — Elias Zomerplaag (17), from Holland. — Gerrit Van Geuns (41), Duifge Van Geuns (40) and their son Marcel (13), from Holland. The parents of the Meljado brothers tried to escape some weeks later but were captured by the Germans. The Meljado brothers, along with Elias, made their way to Jamaica but eventually returned to Belgium after WW2. When Elias said goodbye to Jeanne and her father, he gave them a letter for his parents where he warned about crossing the Pyrenees because it was very dangerous. Elias’s parents were sent to Drancy concentration camp. His mother gave evidence she was not Jewish, so she and her daughter Betty were released. But his father Bartend, after being forced to work for the Germans in the Alderney island for two years, was transferred to Germany in 1944. During the trip he jumped from the train and escaped. One of the members of the group led by Jeanne’s father gave him a letter to pass on before they parted. Several days afterwards, a man came to the Agouau’s home to pick it up. Aulus-les-Bains was white after a heavy snowfall. Jeanne’s father and the man sat down next to the fire. The man read the letter and said, “It must have been perilous”. Jean-Pierre told the man the story of the journey. As he left, the man shook Jean-Pierre by the hand, thanked him for helping people to escape and gave him a small amount of money. In the group led by Jean-Baptiste, the parents of Claude Henle were Hans (35) and Laura (38). Claude’s grandmother was 66. Claude was born in St-Gaudens (Haute-Garonne, France) during his family’s escape from Nazis. Jeanne’s brother , a French soldier, was a prisoner of the Germans after he was captured in 1940. After the war some of those who helped with the escapes were recognised with awards, but most were not. In Aulus-les-Bains nobody talked about those risky journeys to help people to cross the Pyrenees. Over time, little by little, Jeanne told her story. She wondered over the years what had happened to Henle family, especially Claude, the baby. Were they obliged to come back to France? Were they alive? Eventually, Jeanne posted her story on the Internet in 2000. Fortunately, in a French database somebody found the Henles listed among the prisoners in a jail in Sort, a village in the Catalan Pyrenees, and so the name of the baby was discovered. The Jewish community found a letter that Hans Henle sent in the 1950s to a cousin. He said they were in Canada. In 2003, Claude Henle was contacted in Canada and an emotional rendezvous between Jeanne and Claude was organised in July 2004. Claude has four children and he is grand-father. Claude’s parents were always keen to come back to Aulus but by the time they were ready to make the trip, Hans was 80 and could not manage the journey. Jeanne Rogalle died in August 2015. She was 93. She had five children and was a great-grandmother. Apart from receiving the Legion d’honneur, Jeanne, her husband and her father were recognised with a Righteous Among the Nations award from the Yad Vashem foundation in October 2005. Please comment below on The Freedom Trail. If you wish to travel to this region and walk the same paths used by so many people to scape to Spain – see what tours we have for you or contact me here for any Pyrenees Tours questions you might have.